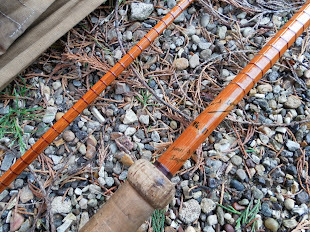 The Intrepid Piscator: 10 Tips for Winter Fishing. 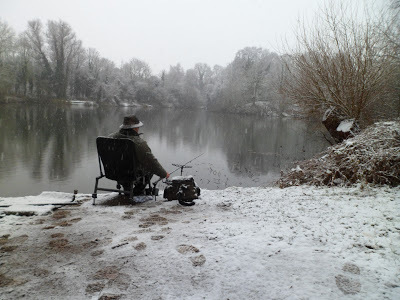 10 Tips for Winter Fishing. 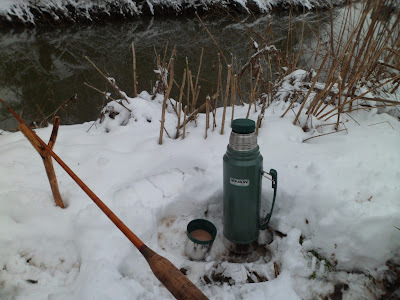 I've spent a lot of time on the bank in the depths of winter. It has the benefit of quieter banks and though the fishing will be difficult for most species, a catch will be more rewarding. 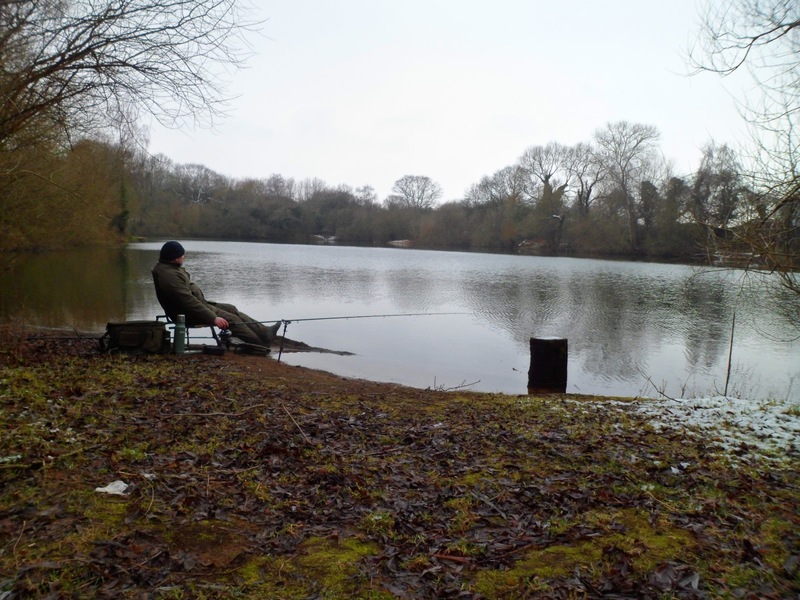 Having the right kit to stay warm will help you to fish effectively, for longer. Here are a few tips to make things a bit easier when it gets cold. 1. 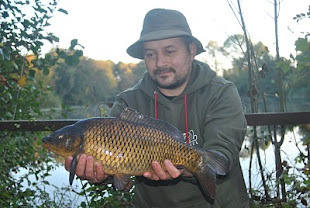 Pick an easy water - A water with a good head of hungry fish will produce all year round. 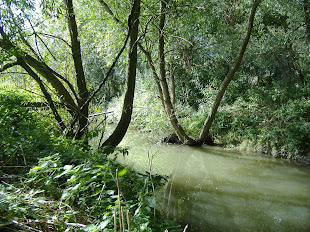 I have tried the difficult venues, fishing against the odds for big fish, but the result is usually not good. I like a challenge, but sometimes question what I'm doing. For most of us, life is too short to chase shadows in winter. Go catch some fish. 2. 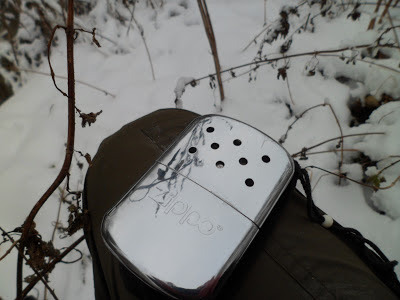 Handwarmers - The petrol fuelled models by Zippo and Peacock are excellent. I use two, one for each side pocket. They keep the finger tips and the core of your body warm. I cannot emphasise enough how much these items have enhanced my angling. 3. Hot Drinks - Whether you take a stove, Kelly Kettle or flask, hot drink is imperative to happy winter angling. My flask of choice is the Stanley, being strong and reliable, will keep drink warm all day, no problem. I always rinse the flask with hot tap water before filling it to warm it inside. 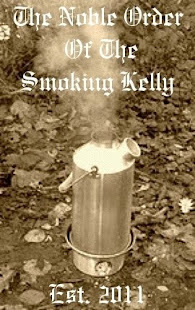 The Kelly is also a godsend and the burning embers are excellent for warming cold hands.. 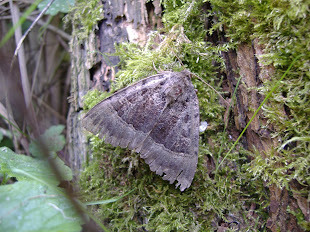 I always take some paper, dry dead nettle stems and the wood kindling you can buy at most petrol stations. Most of this can be stuffed down the kettle chimney for transport and you are guaranteed dry fuel to start the fire. 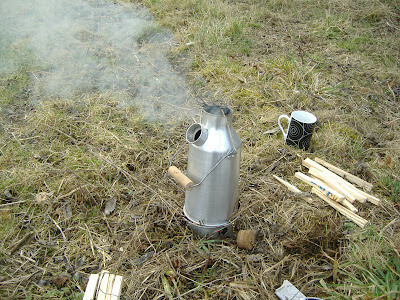 ...here is mine with 'Steve' my kettle, still going strong after many years service. 4. Footwear - If your feet are cold then so are you, and once they're cold they are nigh impossible to warm up again. Good thermal, waterproof footwear is essential. 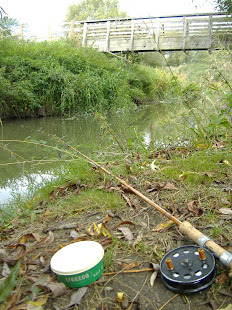 I recommend Skee-Tex Wellingtons and Field Boots and also have a pair of old Wychwood Lunker boots. These are ideal if you are sitting in one swim all day but perhaps a bit heavy for roaming. In this circumstance I'd use a quality neoprene Wellington. Le Chameau, Hunter or my preference Hoggs Field -Pro. A good pair(or two) of wicking socks should be worn as well. I use Thorlos and Coolmax, both do the job well. 5. Clothng -A good warm hat makes a huge difference. I use lots of different styles, some are waterproof, some are just warm. Suit one to the conditions of the day, but always wear one. Base Layers, then a fleece layer, then a waterproof layer is the minimum clothing I'll wear. Layers, layers, layers. Look to ski/snowboard shops for the best base and fleeces. Neck gaiters and scarves stop the draughts. I will be a bit controversial here and advise against gloves. They get in the way of fishing. If they're not waterproof they will get wet and your finger will soon be colder than had you not worn them. If they are waterproof, you will need the fingerless type which kind of defeats the object. Take a towel to dry hands and use handwarmers, not gloves. 6. Insulation - If you look carefully at the picture below you will see that my feet are resting on my unhooking mat. This is because a high percentage of cold comes from the ground. The mat acts as lagging for my feet keeping them warmer, longer. The same principal can be had for bivvy fishing. Always use a groundsheet, stack luggage beneath your bedchair. If you use a standard bedchair put a thermal layer between it and your sleeping bag. 7. Doing The Nights - A 5 Season sleeping bag and twin skinned bivvy go without saying and are essential. 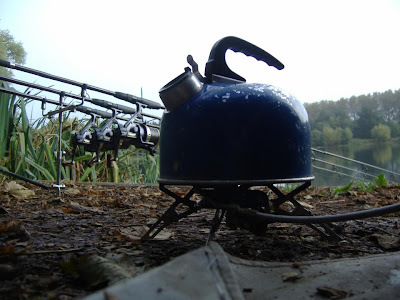 I'm not a fan of bivvy heaters or warming up the bivvy with a stove. They can give off toxic fumes that have killed anglers in the past who have plugged gaps to exclude draughts. If you need extra warmth take a hot water bottle and wear a full face balaclava to sleep in, your face will otherwise be the only exposed part of your body. 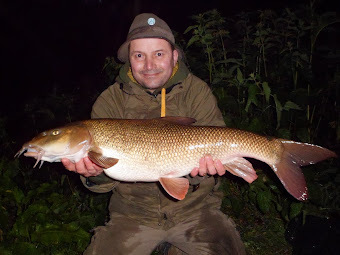 The cold nights can be painfully long and though I try, sometimes it's not an option to be out watching the water. Some take TV's, some DVD's and Laptops. I like a little radio, mine cost under a tenner and occupies the mind whilst waiting for a run. 8. Pick The right Species - All species, even catfish may feed for small periods in the winter but there are a few that love to. 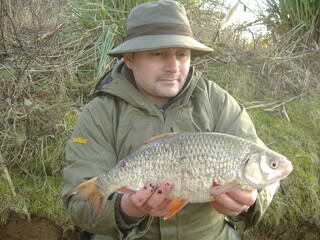 You can make life easy for yourself by targetting grayling, chub, roach and pike, all of which can be persuaded in cold conditions. 9. Lure Fishing - A great way to keep warm is to keep mobile. Take a lure rod out for a few hours. Do a couple of circuits of your lake . Keep casting and keep moving. You can get your fishing fix, catch a few fish and be back home in the warm in no time. 10. Perspective - Don't expect to have great results all the time. Sometimes it'll be hard going. Don't do your head in thinking that rigs and bait are wrong. Many fall into this trap, and by the time the fish are really feeding they have lost heart and abandoned what they set out to achieve. Of course,you can experiment, but always keep that sense of perspective. 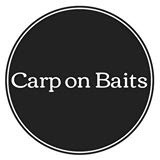 These tips might not help you now with spring just around the corner but have allowed me more quality time on the bank over the past few years and maybe one or two of these will help your future sessions. There's no such thing as too cold....Just the wrong clothing. equipment or species. A very well-reasoned and explained piece! Thanks. Great advice mate - I have no excuse for not going more often. Nice tips mate. No mention of cake??? Some good tips there, especially the one about getting your feet off the ground, my dad use to always place a log under his feet when fishing in winter. 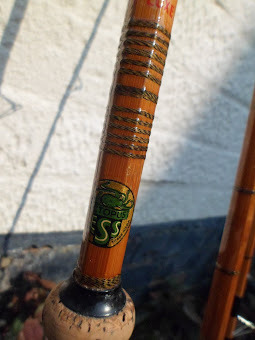 Gurn you blog is the best I read over the years by far, your the real deal...I myself am a hardened fly angler but your fishing takes me back to the old school days of true anglers..
"For the discerning cane fisher"
Why Never The Easy Option ? 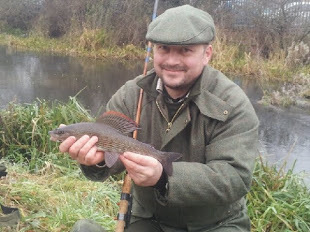 04th April 2019 - My first fish of the season a stunning beauty decieved by a cdc emerger , a stunning spring fish in prime condition . 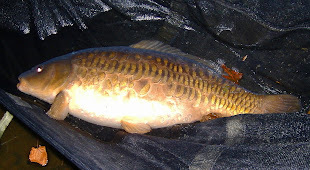 Carp Coarse and Swansea - Fishing in and around Swansea.